The Bürgenstock Resort has entirely reinvented itself, building on a long-standing tradition of attracting the world's elites. In former times, Sophia Loren enjoyed ice cold drinks on the terrace whilst the international league of politics held conferences in the large halls. 4 Hotels, 7 Signature Restaurants, over 700 dedicated hosts - one of the largest resort of its kind in Europe and as such unique with a breath-taking view high over the lake of Lucerne. 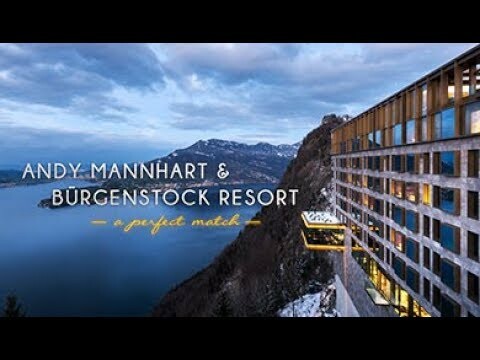 Andy Mannhart is very proud to be associated with the Bürgenstock Resort, which was elected as Hotel/Resort of the year 2019 by Gault Millau. In close collaboration with Mike Wehrle, Culinary Director, Andy Mannhart has supplied the complete operation equipment. In gratefulness to this outstanding collaboration we would like to present Mike’s fantastic culinary world @ the Bürgenstock Resort and remember our common achievements as a result of a complex but unforgettable project.